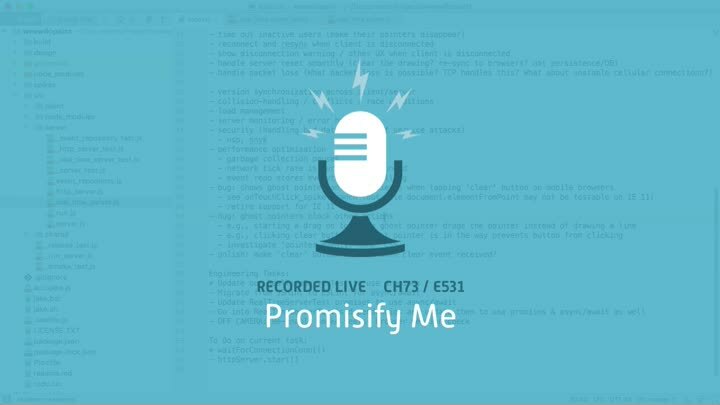 We continue to refactor our code from callbacks to promises in preparation for migrating to async/await. In today’s episode, we finish refactoring our test functions and move on to the production code. On the production side, we get to use Node’s new util.promise() API.